Working on a new open file dialog that preview pictures (including Photoshop) and Stickman Elemento Figures. It just works! Today I removed the 'Start Relation' controls. I think they just confused the user, took up screen space and created a mess. 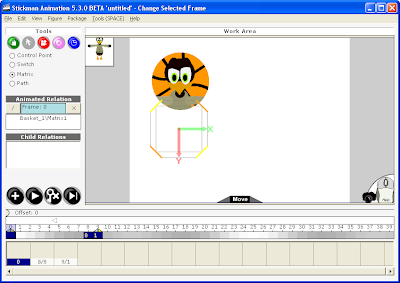 Now, you can only create animated relations that do not 'jump'. When releasing a relation, an 'after' draw order change is added. It's a connection between a figure and a matrix node inside another figure. That connection moves the child figure when the parent is moving. For example: To carry a box you select the box and choose the figure and hand to hold it. The container behaviour is changed to the better. Before, only empty matrix nodes were treated as containers. Now, all matrix nodes are treated as containers. This means that you can connect an item to a body part of another figure. because the attached matrix nodes will automatically be a container in Stickman. Today I replaced the category list with some color buttons. Still working hard to get the interface more easier and easier to use. Got a lot of ideas, but if you got some, please contact me. 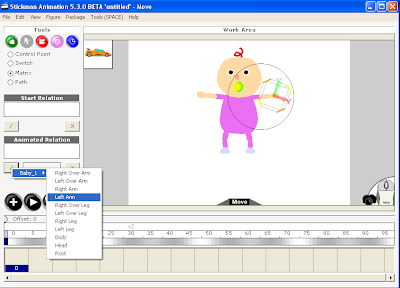 I have been working a lot on the Stickman 5.3 Beta version. One finger at the keyboard and the left mouse button! 3. Drag with left mouse button. 1. Press Z for zoom. 2. 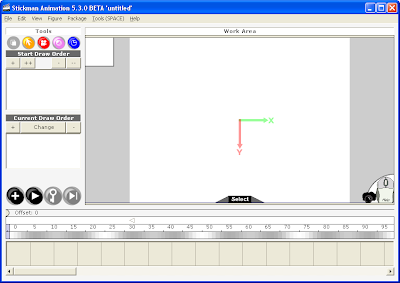 Drag with left mouse button. 3. Release the Z button. That saves the user for 4 mouse click for every action!